Prototype: Type Bm compartment car, 2nd class, painted and lettered for the "ALEX" Arriva Provincial Railroad Express. Model: The car has interior details, and the 7319 current-conducting coupling can be installed in it. The car also has adjustable buffers. Length over the buffers 27.1 cm / 10-5/8. 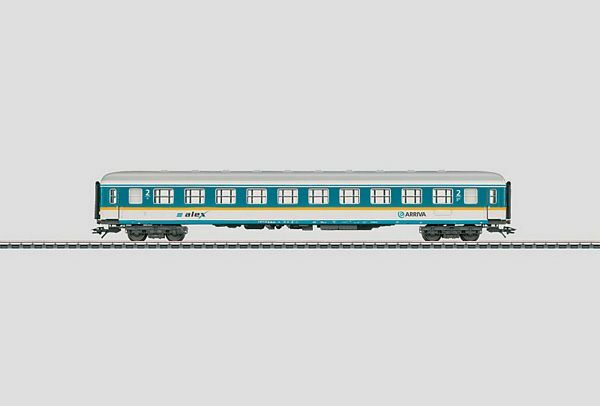 This express train passenger car is the ideal add-on for the 26552 train set.